School Closure Tomorrow, due to unhealthy air quality. Due to continuing unhealthy air quality conditions, we have made the decision to close all schools on Friday, November 16. While we followed health official guidance to this point, we feel the efforts cannot be sustained indefinitely to minimize exposure to poor air quality. 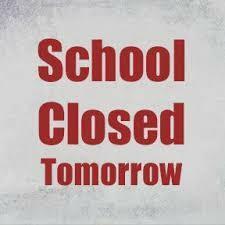 After careful consideration and prolonged poor air quality, we feel that it is in the best interest to close our schools tomorrow. We will be requesting a waiver for the missed school day from the state due to the health and safety concerns. However, if a waiver is not received, we will be required to make up this missed school day at some point this school year. We will provide additional details as soon as we have confirmed information. Thank you for your patience and partnership this week. We hope that everyone has a wonderful Thanksgiving break and please stay safe.